Is it possible to distinguish between the history of modern art and the history of modernism? Anyone who studies the history of modern art—in art museums, in the classroom, in art historical handbooks or specialist surveys—will soon be aware of a certain recurrent pattern governing the selection of objects and forming a certain type of narrative, where the history of modern art is presented as a variety of different -isms, that dissolve into each other in the coherent sequence that constitutes the history of modern art as modernism. These are some of the questions the author, Hans Hayden Professor in Art History, discusses in the monograph Modernism as Institution: On the Establishment of an Aesthetic and Historiographic Paradigm. This book constitutes is the third volume of Stockholm Studies in Culture and Aesthetics (SiCA) which is a peer-reviewed series of monographs and edited volumes published by Stockholm University Press. 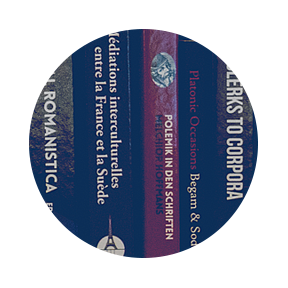 At the Stockholm University Press website you can download Modernism as Institution: On the Establishment of an Aesthetic and Historiographic Paradigmas an ePub or pdf-file that allows you to read the book online or access it on multiple devices. You may also also order a print copy of the book through the website.